This website concerns the June 2008 discovery of the large wooden structure on mount Ararat in eastern Turkey and the 2010 press release about this discovery. The discovery of a large ancient wooden structure on Mount Ararat, Eastern Turkey has become a worldwide sensation. Experts and Turkish officials believe that the most probable explanation is Noah’s Ark. In late April, they jointly announced the discovery with the search team and offered to help its future exploration and scientific studies. 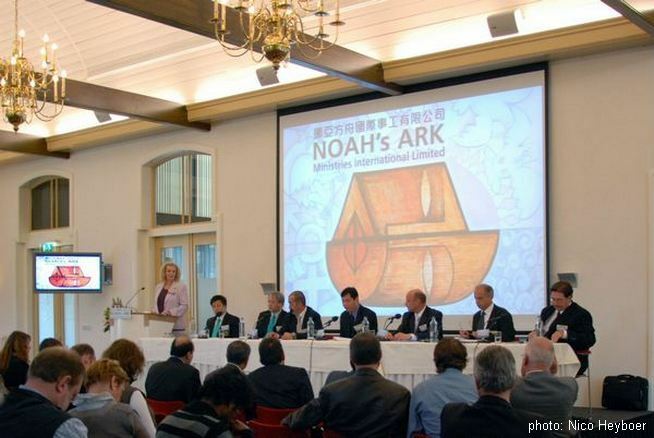 Noah’s Ark Ministries International – an exploration team comprising Hong Kong and Turkish members responsible for the discovery – has dedicated itself to the search for Noah’s Ark since 2004, collecting clues and eye-witness accounts passed down over many generations in tandem with ground searches. In October 2009, the exploration team made a major breakthrough when team members entered a large wooden structure buried under volcanic rocks and ice, and proceeded to conduct field studies, take measurements and collect samples, with the entire process filmed. This is the first team in history to ever visually document the interior of the wooden structure on the mountain. Historical accounts dating back more than 2,000 years maintain that ‘Noah’s Ark came to rest in the mountains of Ararat after the Great Flood’. The same account can be found in the Bible and the Koran. In the local region, a saying passed down through the generations goes: ‘There is an ancient boat on the mountain’. Following Panda’s confirmation, although search activities were interrupted by unforgiving weather and a tense situation locally, the quest was relentlessly conducted for a whole year. Finally, in October 2009, a film crew accompanied the search team to document the expedition. Six Hong Kong team members entered the wooden structure. 1. One of the spaces discovered was frozen in ice. Under the ice is wood, with a wooden beam above. There is a tenon construction on the wall, obviously an artificial structure. 2. The first space witnessed by Panda Lee was L-shaped. Its features were very similar to those of some of the spaces discovered later, features such as tenon construction. We concluded that it was originally a box-shaped room, now heavily decomposed. 3. This third space is more than 5 metres high. Team members had to enter through a broken opening and abseil down to get inside. All the walls are wood and the space is not box-shaped. The walls of this area are not vertical but are rather curved and inclined. There is a small door on one side, roughly one meter high and half a meter wide, which presumably leads to another space; but our team did not risk going further due to the lack of oxygen. 4. This room is box-shaped, with dimensions (height, width and length) of more than two metres. There is a wooden beam with wooden pegs along one side of the wall. It is believed that ropes may have been hooked on these pegs to keep animals in place. Along another wall, there are racks. 5. A very small tunnel-like space connects two of the other spaces. 6. A few wooden staircases were found inside the structure, appearing to have been carved from logs. Our team climbed up one of these stairways and found a door in the ceiling, concluding that the wooden structure therefore has more than one floor. We tried to open it but failed. Since we did not want to destroy the structure, we will try again with appropriate equipment in the future. 7. The team has not entered this final space. They viewed it and took photographs from a small opening above. The height and width are estimated to be 5 metres and 12 metres respectively. All attending experts agree that further exploration and analysis are necessary. Man-fai YUEN maintained that the artefacts inside might help age dating as well as gain better understanding of the ancient civilization. He called for the co-operation of experts, scientists and scholars from around the world. An international organization comprising ark researchers, scientists and Bible scholars, NAMI seeks the truth of the Ark from a faith-based yet objective, scientific perspective. In the future, it will continue to invite academia to participate in historically, culturally, geologically and archeologically informed scientific research of the Ark. Its mission is to use the legendary Noah’s Ark to bring hopes to people. Mr. Aalten has been involved in the ark search for 35 years. He travelled to Armenia six times and visited the region of Mt. Ararat numerous times, interviewed people and searched for the information from culturally and historical aspects. He studies every possible eyewitness accounts and gives lectures on the issue. He was invited to present papers in International Symposiums on Noah’s Ark and Mt. Ararat. Current President of SEARCH Foundation, Mr. McIntosh is a geology and science education and has been involved in the Noah’s Ark research since 1976. His expeditions on the mountain have included explorations of many suspected Ark sites and possible burial areas. He worked with notable researchers like Jim Irwin, Richard Bright, Elfred Lee, Bill Crouse, Bob Stuplich and others and flown around the mountain with Chuck Aaron. Andrew Yuen became interested in the Ark when he read a news article in the 1970’s that reported that a satellite photo taken of Mount Ararat in Turkey showed the image of Noah’s Ark. Since that time, he has researched as much information as possible regarding the Ark, and has climbed the mountain in order to search for evidence in accord with his faith. Mr. Yeung is a media veteran who has produced the popular and award-winning documentary series. He started involvement in Ark search in 2004. 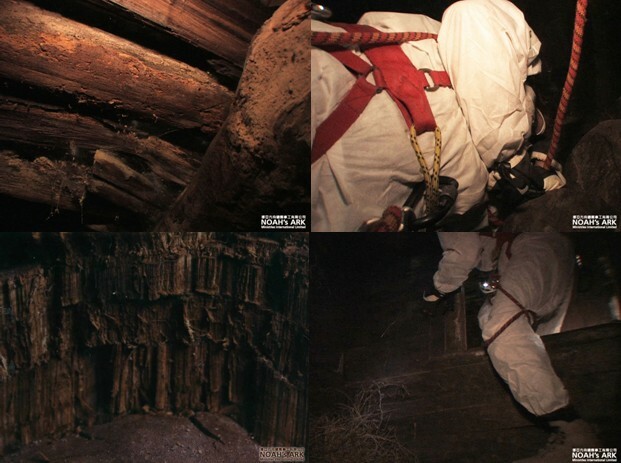 In October 2009, Mr. Yeung directed a film crew to shoot the mountain expedition of the team, documenting the interior structure of the discovered wooden structure on Mt. Ararat. Mr. Lee joined the search team in summer 2008, aiming at verifying the existence of a large wooden structure on Mt. Ararat. He accomplished the mission and became the first Hong Kong team member to witness the structure. For more than 40 years, Professor Belli has been researching and carrying out excavation works in Eastern Anatolia. He is the author of many books on Noah’s Ark and Mt. Ararat. He is also the chairman and organizer of the International Symposiums on Noah’s Ark and Mt. Ararat. Born in the region of Mt. Ararat, Parasut has been well-acknowledged of the cultural influence of Noah’s Ark in his hometown. He is a professional mountain climber. For the last two decades, he is dedicated to searching of the Ark, aiming at revealing the truth of Noah’s Ark. In July 2008, he discovered a large wooden structure on Mt. Ararat by tracing some clues collected. Accompanied by a photographer, he took some photos and this expedition led to an amazing discovery. First Chinese Ark Search team begins quest. A Chinese-Turkish research team investigates a site, the alleged location of the Ark’s remains, at an altitude of 4,200m on the south-western slope of Mt. Ararat. A scientific expedition team – comprising Hong Kong members including Man-fai Yuen and Wing-cheung Yeung, a Turkish archaeologist, a geologist and mountaineering experts – continues to search in extremely harsh weather. The team enters a cave and collects specimens examined and verified as petrified wood by laboratory analysis conducted by the Applied Geoscience Centre of the Department of Earth Sciences at the University of Hong Kong. The discovery of a large petrified wood structure is jointly announced by NAMI and the Dogubeyazit Governorship in Dogubeyazit in Eastern Turkey. This is one of the greatest discoveries in the history of modern Ark search. The discovery is included in the International Symposium of Mount Ararat and Noah’s Ark, an academic publication edited by leading Turkish archaeologist Prof. Oktay Belli. One of the books the history of Noah and the ark can be found in, is the book of Genesis in the Bible, chapters 6 to 9.